Shortly after 10 am on Monday October 30, 2017, a slight young woman with blonde hair up in a bun and breathing nervously, took the witness stand in the packed Court 1 of Hobart’s Supreme Court. She was the first and the most dramatic witness to give evidence in three days of hearings before Justice Michael Brett, Tasmania’s then newest Supreme Court judge, in the latest appeal by Sue Neill-Fraser against her murder conviction. Across the plaza of the court in Court 2, Justice Alan Blow was hearing a different matter, but the proximity was symbolic. Blow J, now the Chief Justice, was the trial judge at Neill-Fraser’s 2010 trial. Grant Maddock, an artist but coming from a family of sailors, who lives on his yacht, provided evidence that perhaps explained eye witness evidence at trial in which local man John Hughes had claimed to have seen a female figure in a dinghy heading in the direction of the Four Winds sometime before midnight. The slightly built Maddock (56 k at the time) had long hair in 2009, and his silhouette at night could easily be mistaken for female. 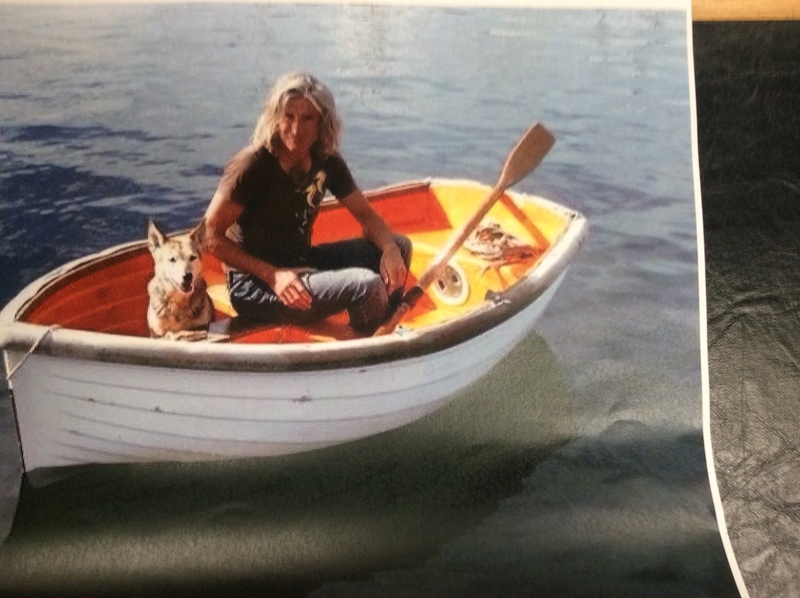 Percy produced a telling 2009 photo of a long haired Maddock sitting in his dinghy. His evidence was also corroborated by veteran sailor John Brettingham-Moore, who was coming in towards the marina on his motor boat at that time and was offered assistance by Maddock in his dinghy.